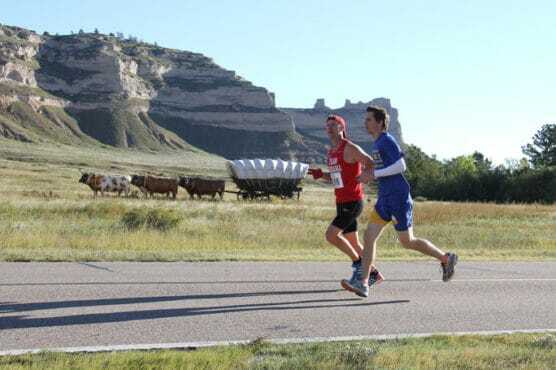 Set for its 8th annual running through this gorgeous, rocky landscape that is home to historic stretches of the Oregon Trail and the Mormon Trail, the Platte Valley Companies Monument Marathon features a 13.1-miler and 5-kilometer race in addition to its flagship 26.2-miler, all of which take runners through the 3,000-acre Scotts Bluff National Monument. Known for its namesake bluff that towers some 800 feet over the North Platte River below, this national monument commemorates the area used by fur traders and expedition parties going all the way back to the early 1800s, where they served as a guide to travelers approaching the foothills of the Rocky Mountains to the west. This small race — just shy of 500 runners crossed the finish line in all three races combined last year — is known for the stark beauty of the park, in which those running the half marathon will spend most of their miles. Runners begin just outside the park at the Robidoux RV Park just off Five Rocks Road, and from there they’ll head north and west along Old Highway 92 until they reach the entrance to the park. 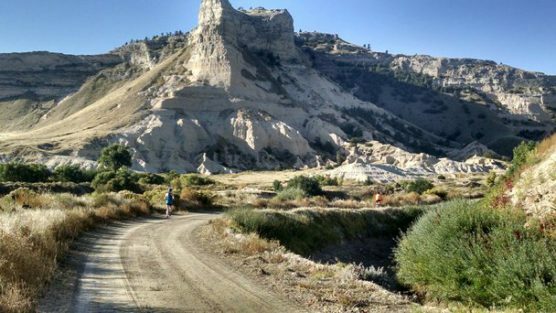 After that, they’ll spend the next several miles running through the heart of Scotts Bluff or alongside the edge of the park, taking in ample views of the towering rock formations scattered throughout. 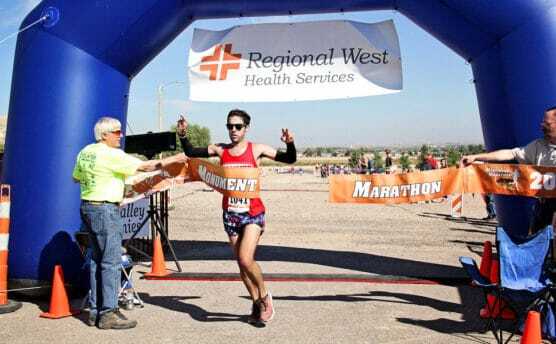 The courses will remain open for 6 hours, organizers add, so walkers are welcome — if you can keep a pace of about 13.5 minutes per mile, you should complete the course within the time limit, they add. Nestled along the banks of the North Platte River in western Nebraska, roughly 200 miles northeast of Denver, Colo., Scottsbluff typically sees mild to moderately warm weather in September though it occasionally sees some snowfall, averaging just over half an inch of the white stuff for the month. On race day (Sept. 28), the average low is 38ºF and the average high is 72ºF. See the race route map for the Monument Half Marathon here. 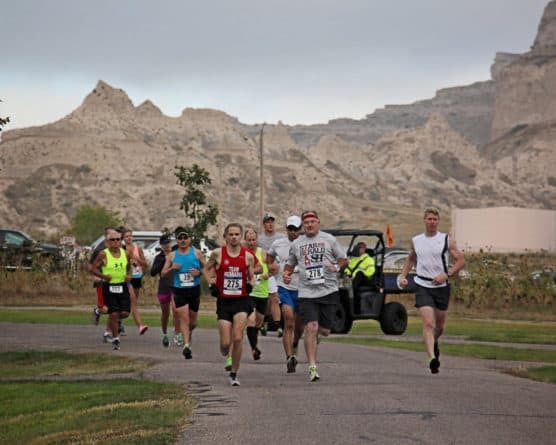 To reserve your spot in the fall 2018 running of Scottsbluff’s Platte Valley Companies Monument Marathon, Half Marathon or 5K race, register online at Active.com here. 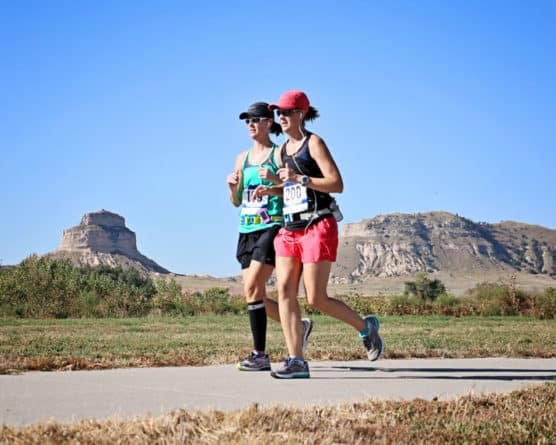 Ever run in the Platte Valley Companies Monument Half Marathon? Share your impressions here, as well as anything you learned about the race that you think other runners/walkers should know.